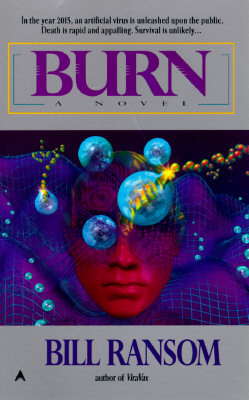 A vivid and gritty thriller in the vein of Michael Crichton and Tom Clancy, BURN takes today’s genetic research one step into a terrifying future, a “Hot Zone” world gone mad with a man-made contagion that leaves no one untouched. The plague is called GenoVax, the most frightening weapon mankind has ever created, and the death it brings is horrifying. When it is unleashed, the human race will know what it is like to burn. . . . From the author of Jaguar and ViraVax and the coauthor, with Frank Herbert, of The Jesus Incident.